With just a little more than a month to go to the New Hampshire Primary, we're going to begin a series of campaign stories from along New Hampshire's Route 101, which cuts across the southern part of the state — from the Atlantic coast to the town of Keene. We're calling the series "New Hampshire Primary 101." And any introductory class on the first-in-the-nation primary would stress how crucial it is for candidates to do well in New Hampshire. And how hard they'll pound the pavement for every vote. But this year, that seems to have changed. For example, earlier this week, there was only presidential candidate doing public events in the state. That one candidate is former Louisiana Governor Buddy Roemer, a little known presidential candidate, who has had the state to himself. 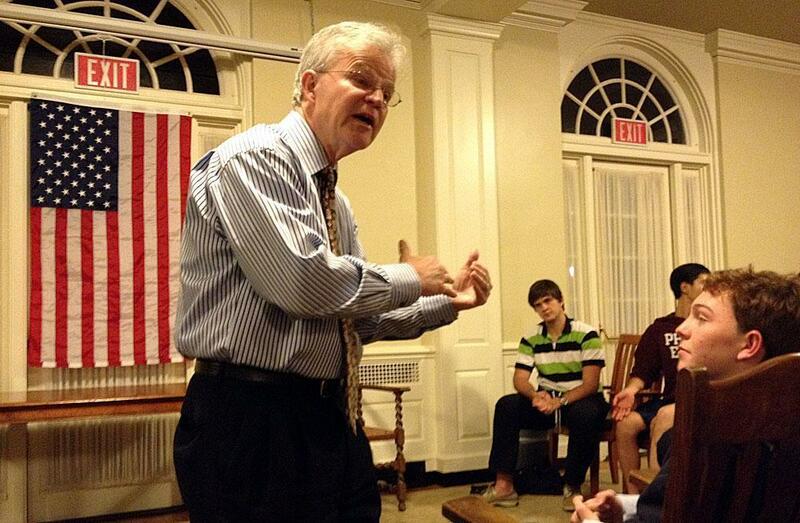 We got to hear what he had to say at an appearance at Philips Exeter Academy on Monday. This segment aired on December 9, 2011.